In the diagram above, black has an undefended knight on b7. White can play Rxb7, winning the knight. 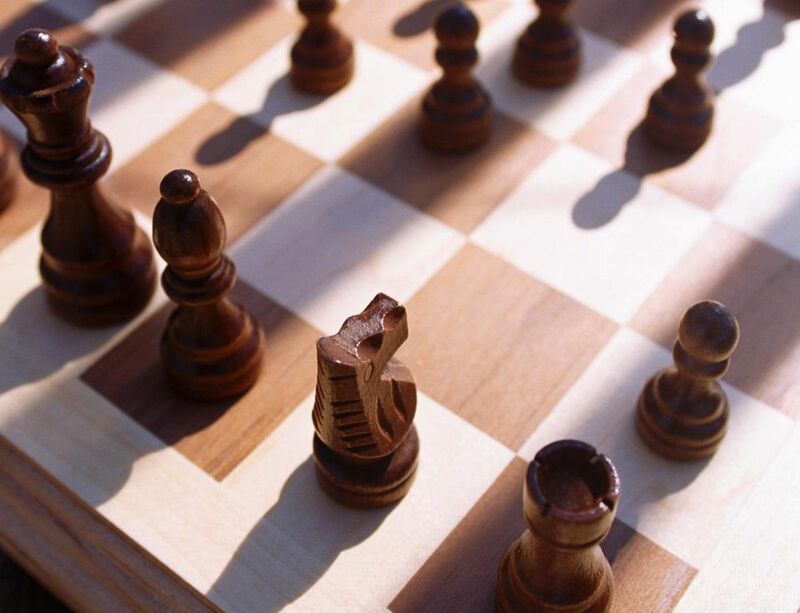 Taking pieces like this is the easiest way to obtain a material advantage, which is the best way to win a chess game. If you're a beginner, taking pieces that are en prise and protecting your pieces when they are vulnerable are the best ways to improve your game. Sometimes one piece can attack two or more opposing pieces at the same time. This is known as a fork. Knights are prized for their forking ability, but every piece has the potential to fork multiple enemies. The diagram above illustrates a typical knight fork. White has just played 1. Nd6+ and his knight now attacks both the black king and queen. Black must move his king to a safe square, such as Kf8. White can then play 2. Nxb7, winning the queen. Forks are powerful because your opponent can only move one piece at a time, making it difficult to avoid losing at least one piece. 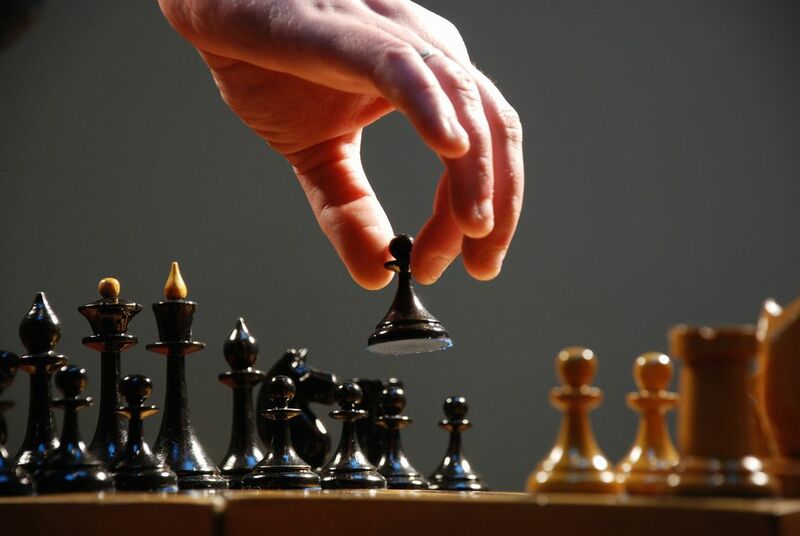 If you're the victim of a fork, look for ways to move one piece to protect another or to make a bigger threat—such as a check—to which your opponent must respond. This strategy might give you enough time to save all of your pieces from the attack. A pin is a common tactic that restricts the movement of your opponent's pieces. Create a pin by attacking a piece in such a way that if your opponent moves it, you will be able to capture a more valuable piece behind it. Only long-range pieces—queens, rooks and bishops—can create pins. If the piece behind the pinned piece is a king, the pinned piece is not allowed to move, as it is illegal to put a king in check. This is called an absolute pin. If moving the pinned piece would only allow a more valuable piece—such as a queen—to be captured, it is a called a relative pin. The diagram above illustrates an absolute pin. Although it is black's turn to move, there is no way for him to save the rook on ​d5; attempting to move it would put the black king in check because of the white bishop on ​b3. After Black moves his king, white can play Bxd5, winning the rook. Skewers are closely related to pins: They look very similar but work in reverse. In a skewer, a valuable piece is attacked and forced to move to avoid being captured, leaving a less valuable piece behind it free for capture. Like pins, you can only create skewers using long-range pieces.